Updated 11/01/09. 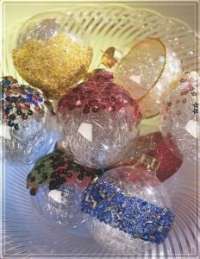 Fifteen images of Christmas tree ornaments from Better Homes and Gardens(images copyright). Visit the website and view Christmas crafts that you can make yourself. Music is "Merry Little Christmas". Screensaver copyright, ART-TLC ©.